Diane here with you today. Are you as ready for Spring as I am?? 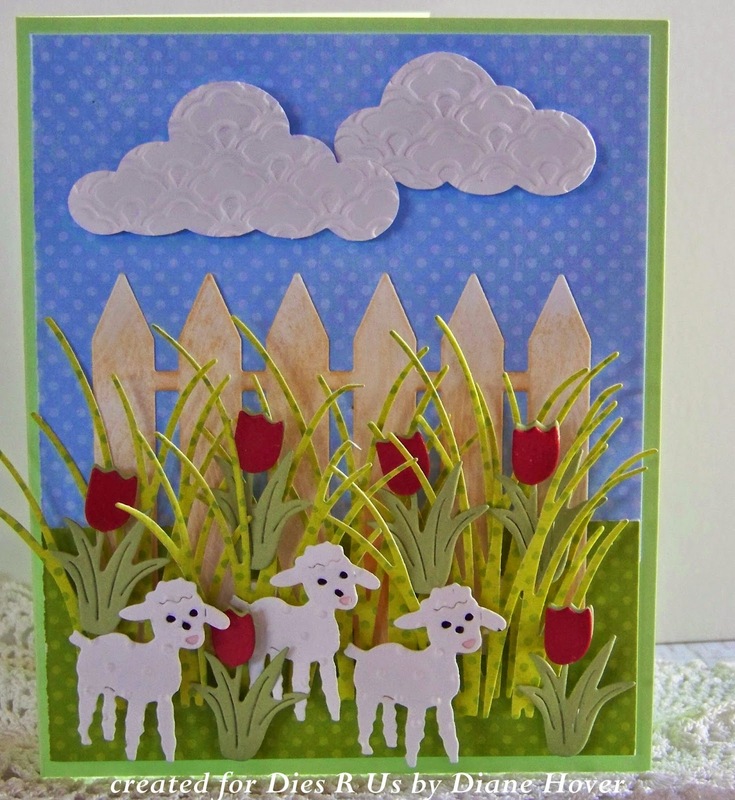 I went with a cute "Spring Scene" for my card today! Frantic Stamper " Easter Icons". plus a carrot, bunny and basket!! behind the eyes and mouth! which I cut six times! I sure hope these little guys don't munch these up!!! 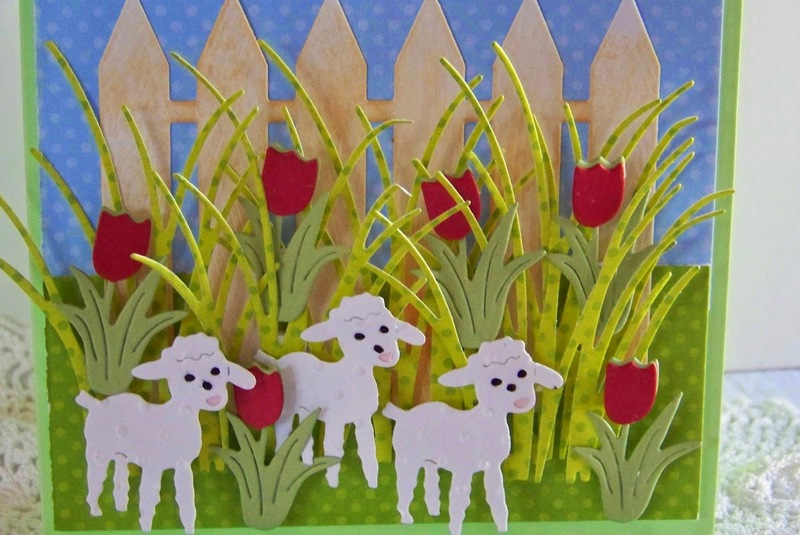 we wouldn't want those little lambs to escape, now would we? A few fluffy clouds were added using Memory Box Cloud Bank. Take a few minutes and pop on over to the Dies R Us store. There are so many dies there to choose from, all at fabulous prices!! where you could win a gift voucher to the Dies R Us Store!! to see more wonderful inspiration!! Adorable design. Love the little lambs!